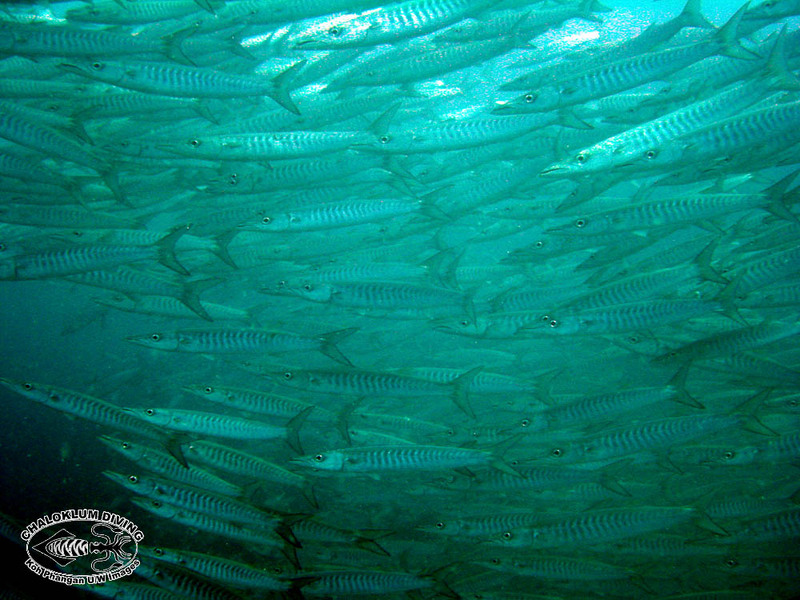 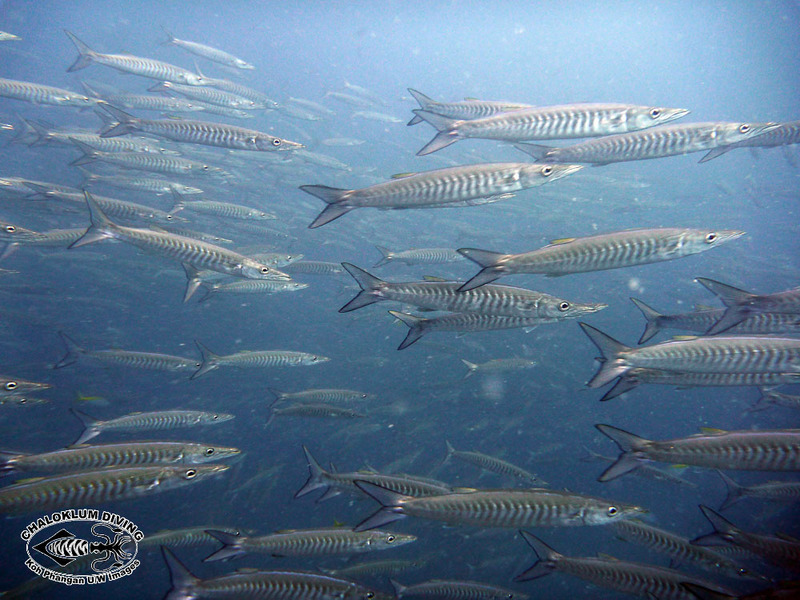 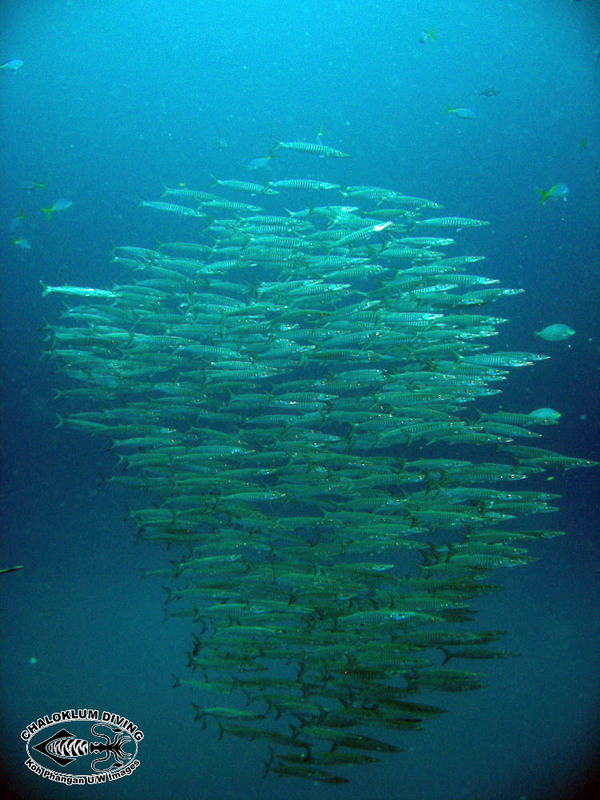 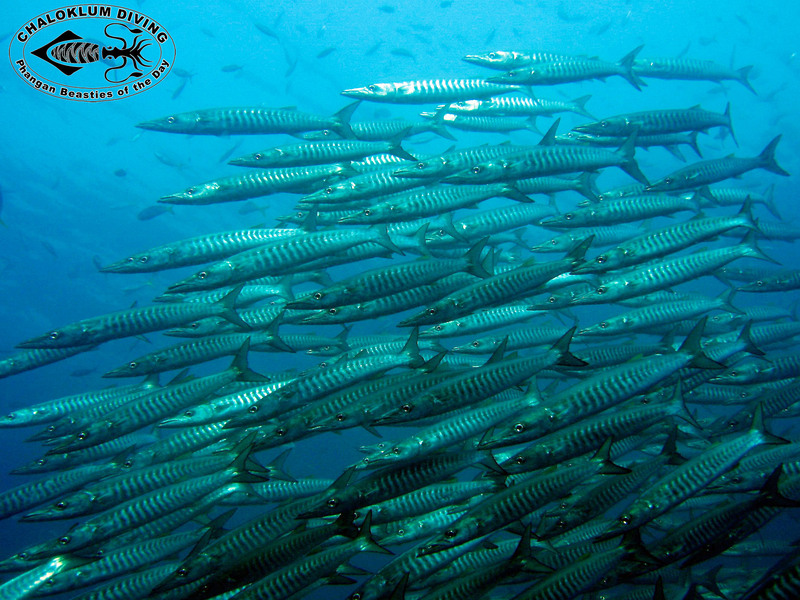 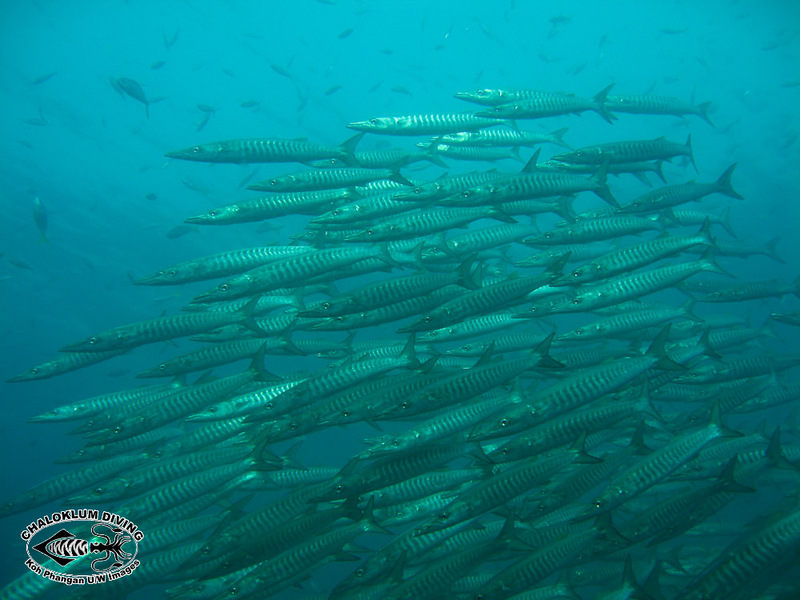 Chevron Barracuda are most often seen when scuba diving at Sail Rock, but it’s possible at most dive sites around Koh Phangan. 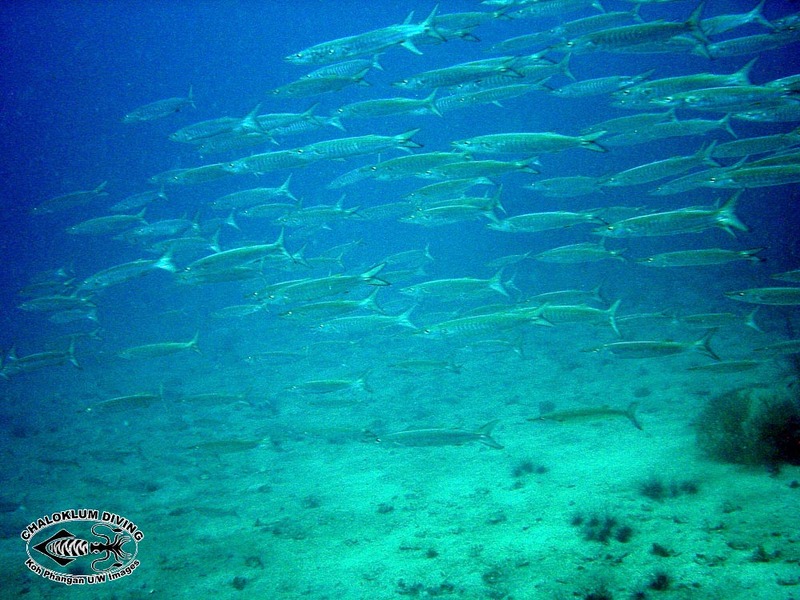 Like all the members of this family they have long slender bodies with widely separated dorsal fins. 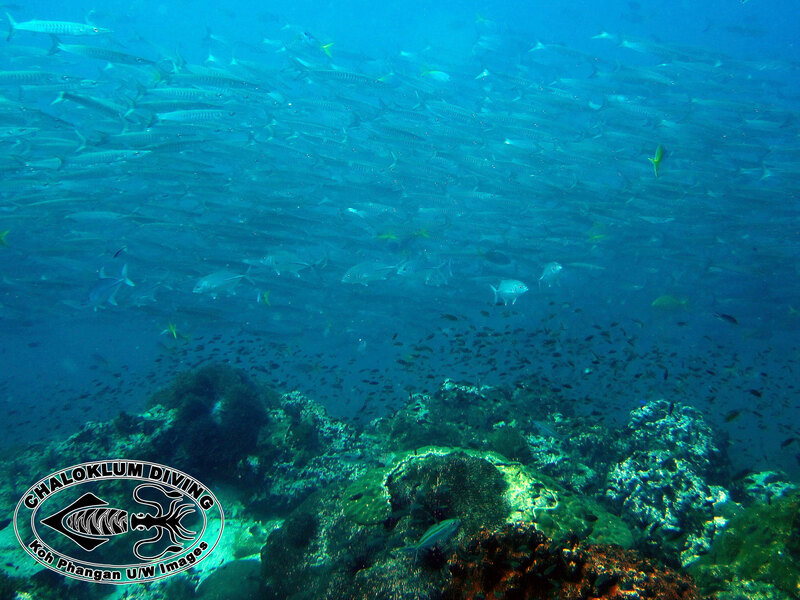 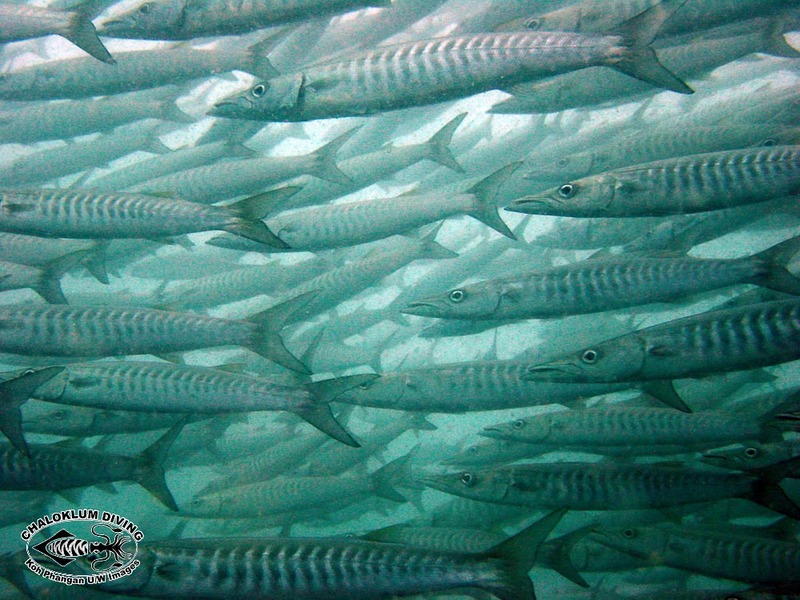 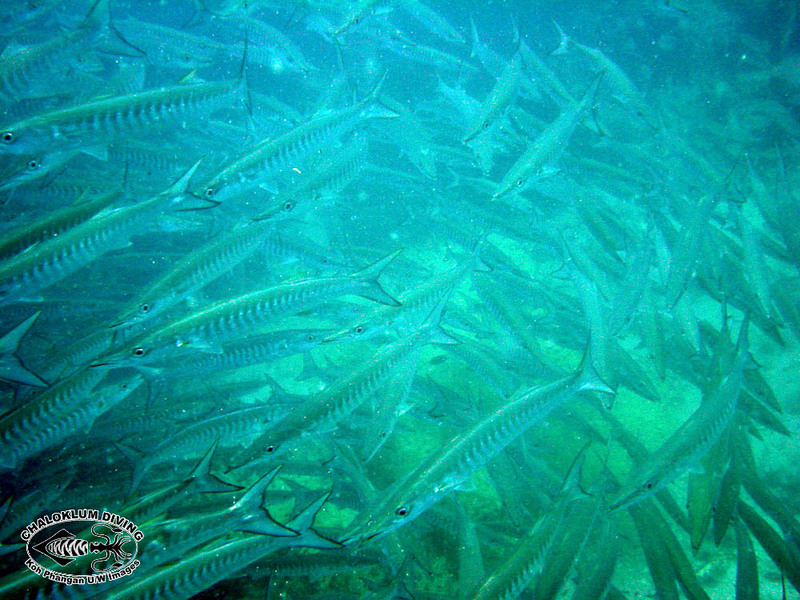 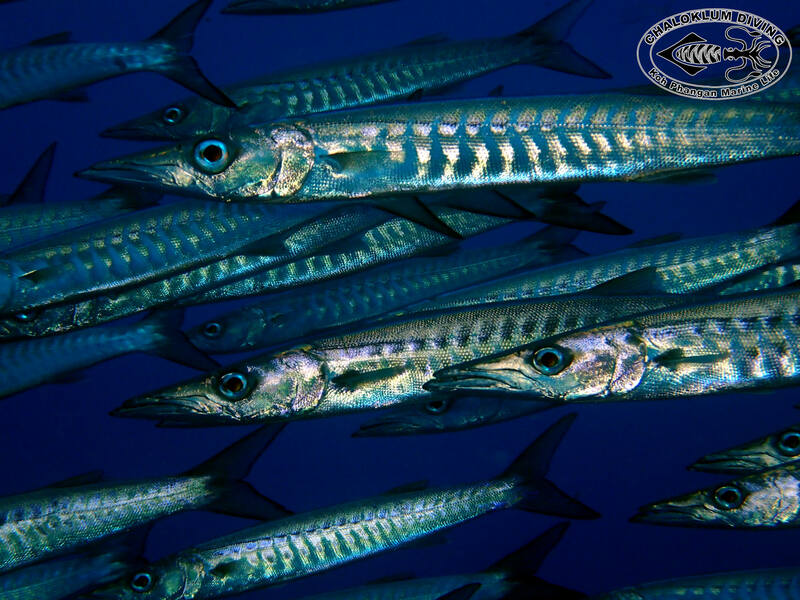 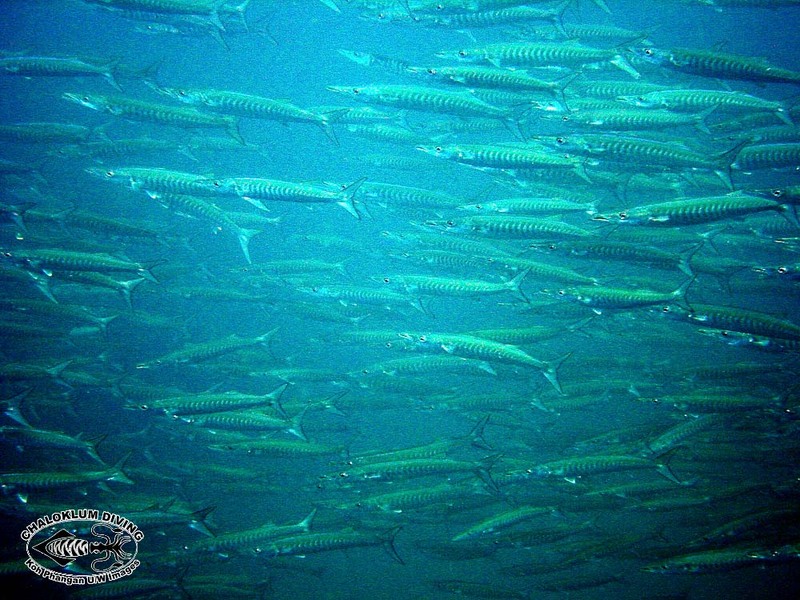 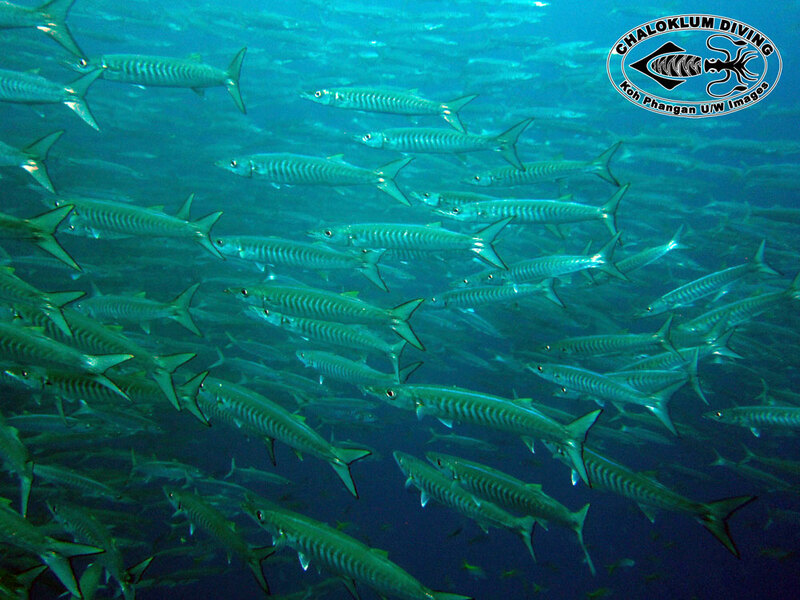 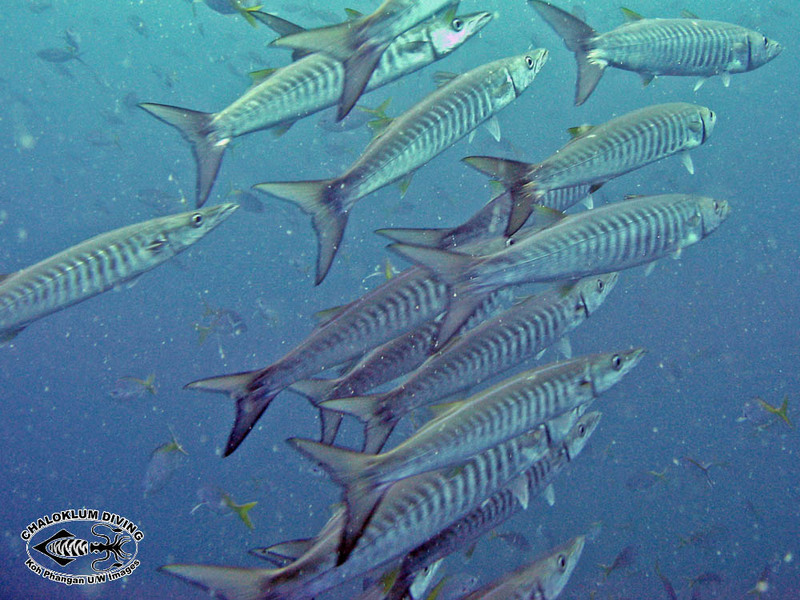 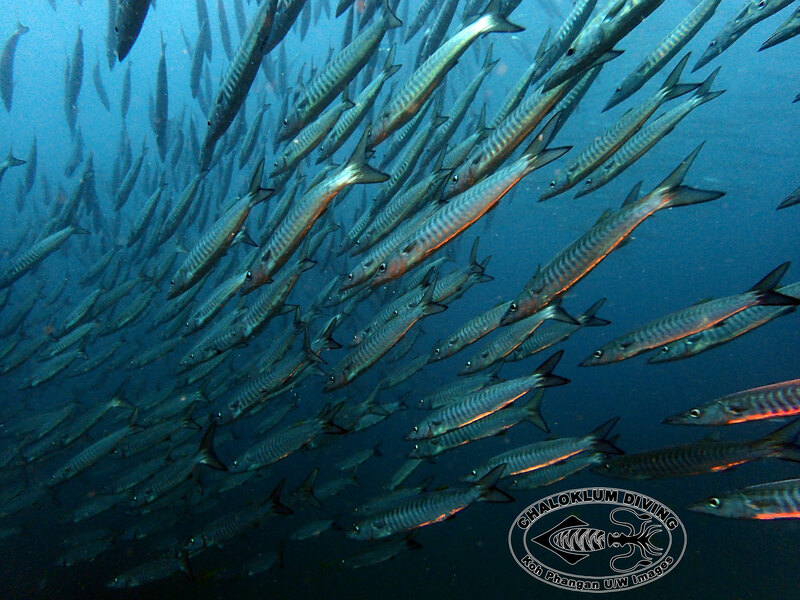 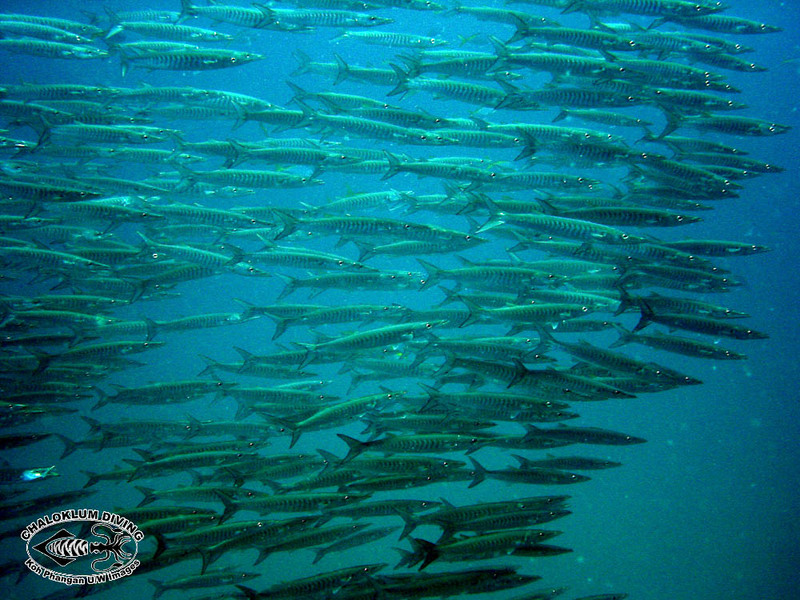 They can be distinguished from our other barracudas by their medium size, 18-22 oblique dark bars on back (the chevrons), and a tendency to swim in especially close formation as shown in the video to the right.